Woodland Exteriors specializes in designing and building sunrooms, outdoor rooms and decks for homeowners throughout the Chicagoland area. They offer replacement siding and roofing installation as well. Located in Roselle, IL, Woodland Exteriors is owned by the founders of Woodland Windows and Doors. Established in 2013, Woodland Exteriors was created in response to customer requests beyond windows and doors for additional exterior products and services from a company they could trust. We have taken our experience with designing and installing window and door solutions into designing and building beautiful outdoor rooms, installing siding and roofing for residential and multi-family homes. 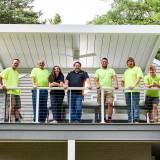 What services do deck and patio builders in Hoffman Estates, IL provide? To help you choose the ideal style, configuration and materials for your deck or patio, your deck and patio contractor will survey your Hoffman Estates, IL lot and your home to come up with a design that complements your exterior as well as being structurally sound. He or she will recommend sizes, heights and construction materials that suit your lifestyle and climate, as well as explain the best stain or finish options. Additionally, deck and patio professionals can provide insight into additional components such as outdoor kitchens, patio covers, fire pits, outdoor lighting, arbors and more. 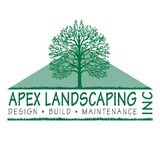 Your deck and patio professional might work closely with another Hoffman Estates, IL lawn and landscape professional. Here are some related professionals and vendors to complement the work of decks, patios & outdoor enclosures: Landscape Architects & Landscape Designers, Garden & Landscape Supplies, Stone, Pavers & Concrete, Landscape Contractors, Building Supplies. Find a deck and patio builder in Hoffman Estates, IL on Houzz.